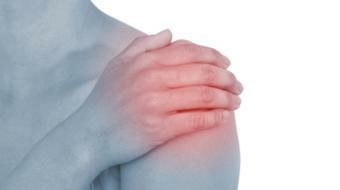 A rotator cuff tear is a tear to the tendons of the shoulder joint that attach to the outer part of the ball. They function to allow you to elevate your shoulder over your head or abduct your shoulder with your elbow away from your side and do things away from your body, reaching, lifting, that sort of thing. It’s made up of a large tendon on the front called the subscapularis, and the main tendons on the top part of the shoulder are the supraspinatus, the infraspinatus, and the teres minor. They all form one large tendon that covers the ball. When they tear, it usually tears through the supraspinatus first and then works its way posteriorly into the infraspinatus and other tendons as it gets larger. 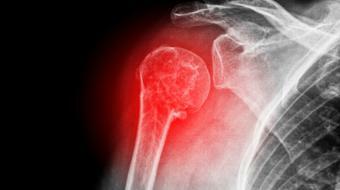 The main cause of rotator cuff tears is, unfortunately, just getting older. It’s usually degeneration of the tendon. You may have silent tearing going on and not realize it and not have any symptoms until it reaches a size of tear that becomes symptomatic. Then you’ll have pain and weakness, difficulty lying on that side. You may also have a smaller tear and suffer an injurious event that causes the tear to get bigger or causes the tear to become symptomatic. That’s the majority of patients that we see with rotator cuff tears. They’re the older population with degenerative tendons. You do get a small percentage of the population that get full thickness tears from a large trauma, but it’s usually a significant event that occurs to cause it. Those patients will present with inability to elevate the arm actively. 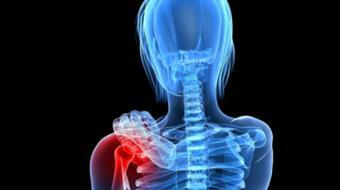 They’ll have quite acute pain right over where the rotator cuff attaches and it’s quite specific in nature. Those are the main causes of rotator cuff tears. Making the diagnosis of a rotator cuff tear usually comes from a thorough history and physical exam of the patient. There are hallmark signs from the history and the examination that can often tell you that somebody has a torn rotator cuff. If there’s any uncertainty, then the next line of information to obtain would be imaging, which would start with radiographs of the shoulder joint. Then to assess the rotator cuff itself, one could get an ultrasound or an MRI of the shoulder, which will tell you the status of the rotator cuff tendons. 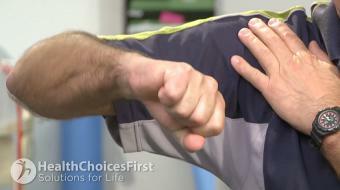 Treatment for rotator cuff tears really depends on the patient’s presentation. If symptoms are low grade, one would generally start with physiotherapy to help decrease their symptoms, improve their strength, get them functioning a little better. If that fails, then one could consider a cortisone injection into the subacromial space, which is the area where the rotator cuff tendons sit about the shoulder. And if you’re planning on that, then either your family doctor or a referral to an orthopedic surgeon to do that would be indicated. Failing any non-surgical treatment for a rotator cuff tear brings you into the realm of considering a surgical repair or re-attachment of the torn tendon back onto the bone where it was previously attached. Those are the three main treatment options for rotator cuff tears. 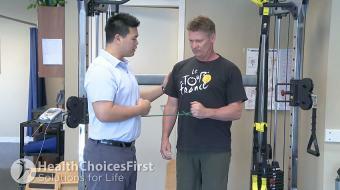 If you’re a patient who is suffering with shoulder pain that’s located around this area of the shoulder or pain with actively moving the shoulder or lifting or finding a weakness with that, then you should seek the advice of a physiotherapist, your family doctor, and consider getting a referral to an orthopedic surgeon as you may have a rotator cuff tear that needs formal treatment.